Easy to follow and easy to use, highly customizable spreadsheet for tracking annual leave of all employees or students in one place. ​This powerful management tool is intended for SME (small to medium-sized enterprises), however it can also be used by school teachers and university professors. It allows employees to view their leave history, but doesn't allow them to edit it. Editing is restricted to admin therefore this single tool can be used by everyone in a company, with whole database in one place. Track annual leave, sickness, training, maternity leave and other (fully customizable options). By default the admin password is blank. To change this go to settings page. Once added only admin will be allowed to add or remove leave. This spreadsheet is FREE to use for tracking up to 10 employees. staff leave planner, holiday chart, vacation tracker, employee leave calendar, employee vacation calendar, employee attendance tracker, student attendance tracker, employee holiday tracker, student holiday tracker, holiday records, annual leave records, vacation records. The next version of this spreadsheet will include a DASHBOARD with charts, diagrams and stats to visually represent all critical data on one page. This will help you better understand trends and patterns in your organisation. E.g. what day are most unpaid leaves taken on? When are most leaves taken on across years. With your help this spreadsheet can become an even greater and more useful tool for your organisation. Allows you to quickly check who is on leave at certain dates and decide whether to accept next leave request or not. Allows you to easily identify periods where a large number of employees is on leave and take appropriate precautions. This management tool allows you to save time and money. 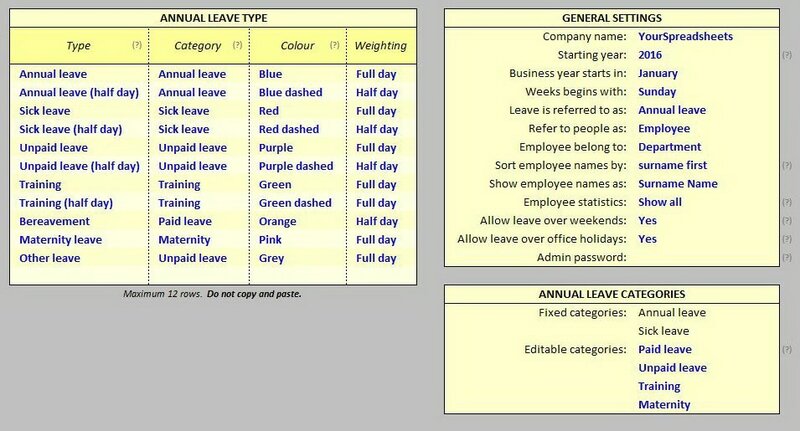 Allows employees to view their leave records in a clear table, and admin to quickly add or remove leave per employee. Quickly add new employees and office holidays. Customize formatting of the spreadsheet. I would say in a glimpse the excel sheet you have shared is a heaven sent. I was trying to put together a database to ease my burden and this is what exactly I needed. I am so in love how clean and easy to understand what you have created. Thank you so much! ...as a business administrator for a start up about to employ its first employee, this spreadsheet is a godsend! (...) Again, what a wonderful spreadsheet, thank you! I must admit (the Employee Attendance Tracker) is a fantastic tool and works really great. Makes tracking of a rec leave very easy. I downloaded your "Employee Attendance tracker" which is awesome. ​I downloaded your employee attendance tracker and it is great – a real help to me. ...many thanks for the free employee attendance work spread sheet as a small company with only six employees this is a blessing and yes I sincerely mean it. Your employee attendance tracker has been a godsend to me in my current position. It looks awesome, great job buddy. You can add employees and holidays in the Database tab, in the top white row, next to the note 'Add new >>'. Make sure to watch the video to learn how to use the spreadsheet efficiently. Note that in the basic spreadsheet you can add up to 10 employees. Premium version allows you to add up to 50 employees. Contact me if your company has more employees. If you added leave in the 'Detailed View' but the cell didn't highlight then highlight an adjacent cell and then click the first cell again to remove leave. This should fix the problem. This seems to happen in some versions of Excel and is most likely a glitch in Excel as the updating doesn't kick in straight away. But once it does the spreadsheet will work fine. This is a full version of the spreadsheet, it has full functionality. It allows you to track up to ten employees/students. 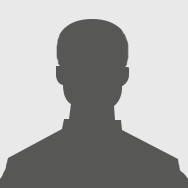 Premium version: Employee attendance tracker (1.3). ​If your company is larger than 10 employees but smaller than 50 then purchase a premium version of this spreadsheet. After purchase confirm company name you want to display in the spreadsheet. By using the free version or the Premium version you agree to disclaimer and terms & conditions.